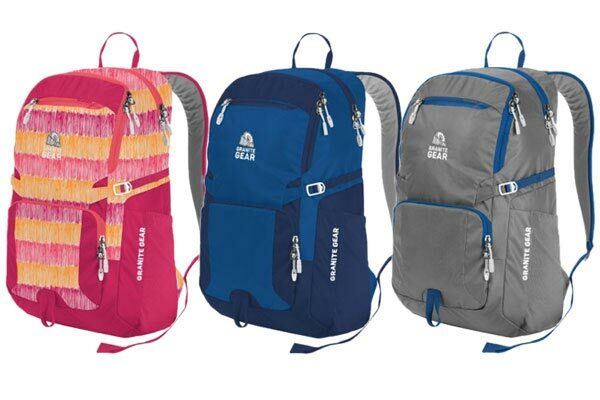 Back-to-School Giveaway: Win a Granite Gear Backpack! It’s not seeing how tan everyone got over the summer. It’s not getting your new jam-packed class schedule, that’s for sure. It’s not even seeing your BFF again. It’s getting those sweet, sweet school supplies. Fancy pens. Fresh notebooks. And, oh yes, the backpack. That’s why CollegeXpress is teaming up with Granite Gear to give away three—THREE!—of their cool new backpacks. So you can roll into class in style. Share your pic on Twitter, Facebook, and/or Instagram. Feel free to tell us where you are and why you love the spot. Here’s the important part: make sure you include the hashtag #WhereIGottaGo and tag @CollegeXpress and @GraniteGear on Insta and @GraniteGearHQ if you’re doing Twitter and Facebook. Also, you get one (1) entry per social network—so don’t miss out on snagging all three (3) entries! Post your entry (or entries) before 11:59 pm on Sunday, August 14. That’s the final deadline! The winners will be chosen at random on Monday, August 15. Winners will be contacted via direct message on social media before the end of that week. We’ll share the winners with the world shortly after. We can’t wait to see all the places you gotta go. Good luck!